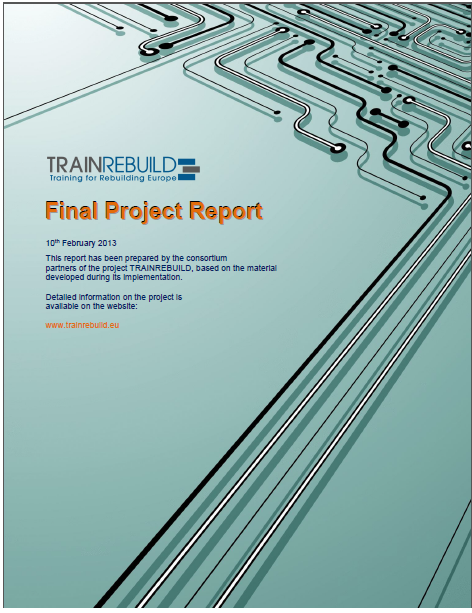 TRAINREBUILD was an Intelligent Energy Europe project that commenced in December 2010; operating for 24 months until its conclusion in December 2012. The objective of the project was to design a comprehensive value chain strategy to generate change in thinking of public and private housing owners regarding the link between energy efficiency and value related to building ownership. The project aimed to train property owners and local authorities – the demand side of the renovation value chain – and encourage retrofitting in a wide range of residential buildings, spanning from individual to multi-family houses and from private to social housing. Local authorities’ officials in charge with the retrofit of buildings in some Covenant of Mayors (CoM) cities in Hungary, Bulgaria, Romania, Portugal and France. UIPI and 6 of its national associations were involved in this project.